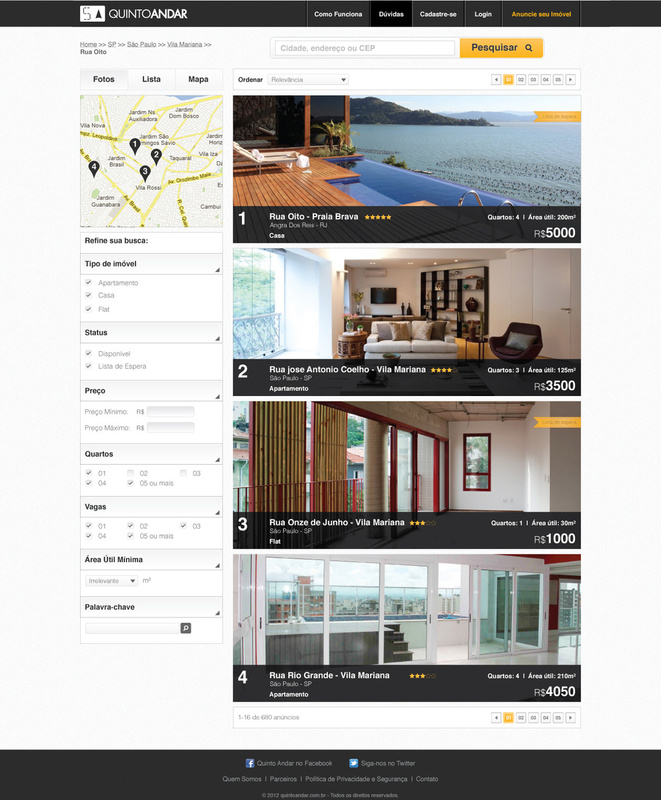 Quinto Andar is a technology company that provides online long-term rentals in Brazil. As a UX/UI contractor role, I was responsible for creating concepts, wireframes, site map and high-fidelity mockups for the first generation of this product (2012). I was also responsible for creating the visual brand identity.